It's that time of year. The time when I start making pumpkin everything. I feel kinda embarrassed admitting this, but a couple weeks ago, I bought every last can of pumpkin off the shelf of my local Publix and I will use it all in the next couple of weeks. 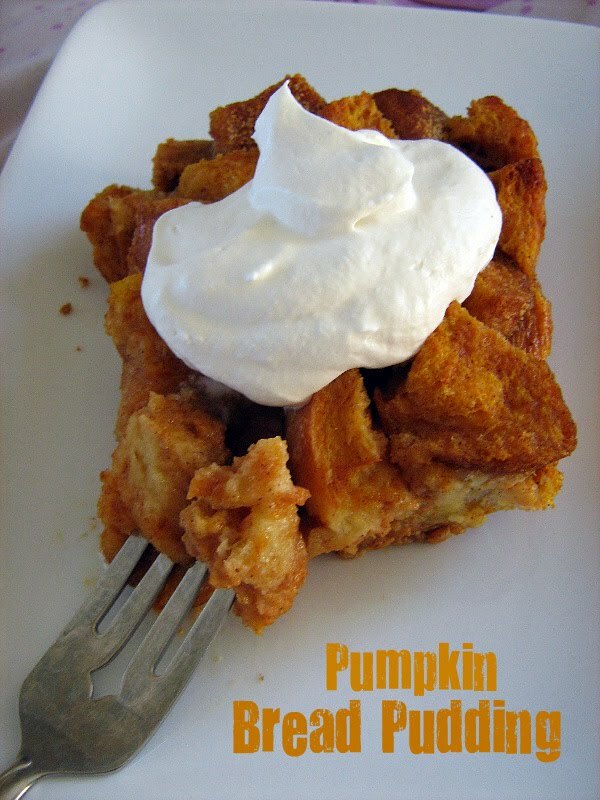 I really wanted to make Pumpkin Bread Pudding last year, but never had the right occasion for what I felt, was a really rich dessert. so it just seemed like the perfect time to make the bread pudding. I toasted my bread cubes in the oven before I threw this thing together, just so the bread would be completely dried out and crisp. This turned out perfectly. 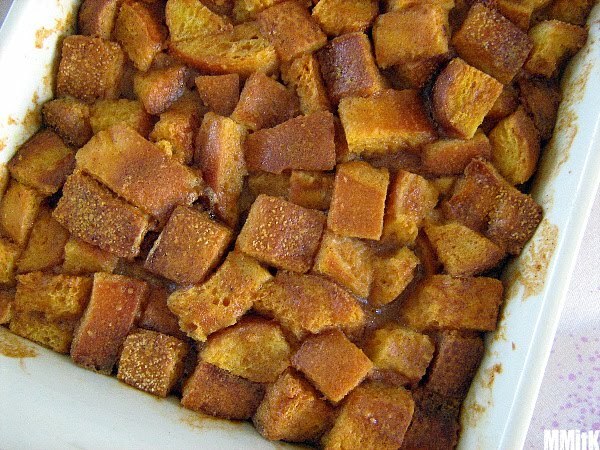 I have made bread pudding before and my husband prefers that I call it something else because he thinks that the word "bread pudding" sounds digusting. So, we call it "French Toast Pie" for his benefit. I had my son reading the ingredients to me and we accidentally added 1 tsp of salt. It didn't matter. This still turned out fabulously. On the weekend I made pumpkin scones that turned out flaky and delicious. It is pumpkin season!!! oh yum I might have to steal this for tomorrow night! This looks like a keeper! Oh! That looks so, so good! 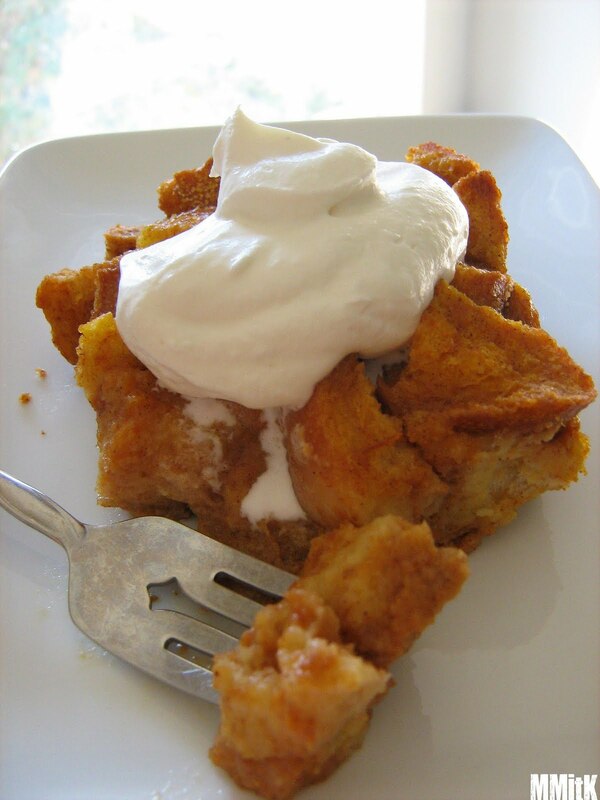 I love bread pudding, I mean French Toast Pie! Yum! Yum!